This is my bright, sparkly new digital art portfolio that brings to life decades of my work - I hope you'll love it as much as I did creating it! Monkeypuzzle was created in 1976 by friends Carol Leith and Sally North in a small Norfolk Village. Carol would like to thank Sally and her generous husband Tom for helping to get this company 'born'. Thank you Sally. Greeting cards don't all have to be the same and over the years I have designed many innovative greeting card designs that bring their subjects to life. I hope that you enjoy my rubber stamp designs that portray a whole set of different images and genres. A great way for the whole family to get creative. Over the years I have produced many book and original illustrations and I hope that you will enjoy journeying through my many varied creations. Painting is one of my passions and I love capturing the essence of different expressions in all my work. 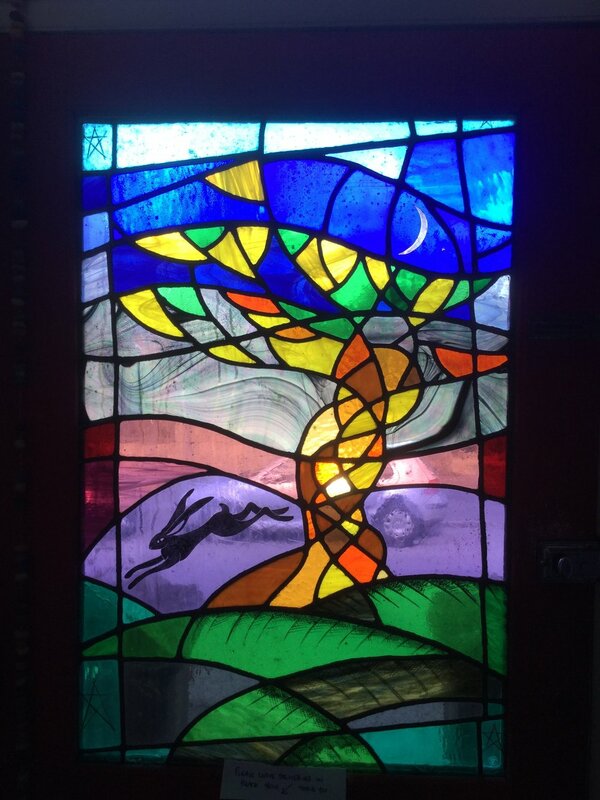 My stained glass creations are vibrant and colourful, representing a wide range of genres and subjects.